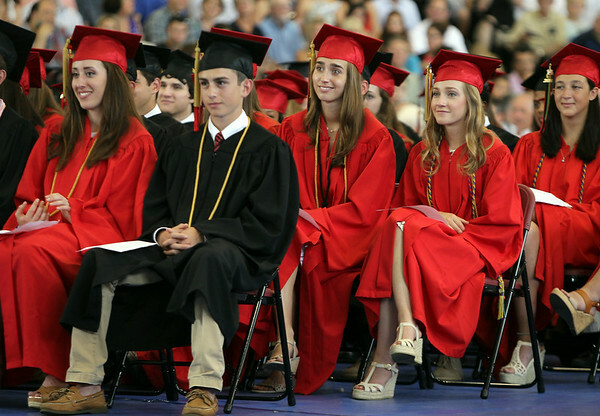 Marblehead High School graduates listen to senior essayist Emma Oliver as she speaks with her classmates on Sunday afternoon. DAVID LE/Staff photo. 6/8/14.